We can credit Anthem’s failure to many different causes. One of the main reasons I’m going to use is the pressure from the former CEO Patrick Soderlund, while the other was just Bioware leadership’s incompetence. Many wondered how much the game is different from what we saw at E3 2017 gameplay demo. Today, thanks to an inside report, we know what happened and the truth is depressing, to say the least. According to a lengthy investigation from another journalist at Kotaku, Patrick tested Anthem’s early build on Christmas 2016 roughly half a year before the E3 reveal. After playing the demo he believed it was “unacceptable” and basically gave several huge red lights. Of course, as CEO of EA, Anthem’s development studio, Bioware, leadership had to answer to him. This led to a lot of crunch time changes for Anthem and you’ll be surprised to know that the 2016 build did not feature the flying mechanics. In a hasty attempt to save their project from being canceled, Bioware actually faked the Anthem Demo, just to appease the EA CEO, which really shows where developer priorities lie nowadays. BioWare, until 2017 E3 demo reveal, had no proper vision as to what Anthem really is. Most of the gameplay elements we saw at E3 didn’t make to the final game because developers at the time had no idea which features would actually be implemented. Nothing was finalized before the public showing. The main gripe was Anthem’s flight feature. The flight feature was something that Bioware couldn’t decide to keep. Mainly because of how potentially game breaking it could be to keep the flight feature thanks to Frostbite Engine. How would Anthem restrict players from going out of bounds without an invisible wall? How would they convince them to lower down and admire the scenery when they’re out there being Iron Man? This led to them initially dumping the flight feature to make a more grounded game. Whether or not this game would’ve been better than what we have now is up for debate. Getting back to the original point, Patrick didn’t like the early build, but the flight feature separated Anthem from every other MMO out there. Ironically enough, he was right. Even players that hate Anthem did admit that the flight system was fun. In fact, the flight system was the only part of Anthem that people liked. On one hand, I do blame Patrick for forcing such a last-minute crunch-time on Bioware. On the other, I blame Bioware for doing nothing with all the time they had. BioWare leadership failed to make timely decisions before Mark Darrah stepped up to the plate. Half a year before the reveal demo, BioWare not having any idea what Anthem is going to be is evident in how the final product turned out to be. The demo was the first time most of the development team got to see and understand what they are going to make. 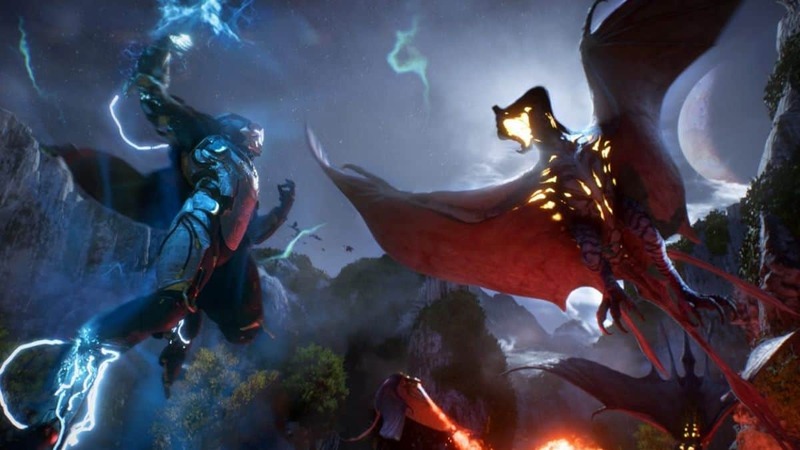 However, due to the lack of time, and issues with Frostbite Engine (created for FPS shooter games), BioWare’s Anthem turned out to be a disaster.